Leh local sightseeing was the pending topic in my series of articles on completing the comprehensive travel guide for Leh Ladakh. Today, I will introduce you to the places to see around that comes under Leh local sightseeing. 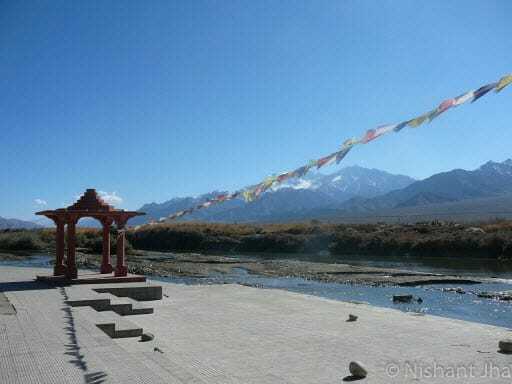 It is almost inevitable (at least for people flying directly to Leh) to skip the local sightseeing of Leh town, so it becomes really important to know what all places are there, either in Leh or nearby Leh town so that you can spend a day or two easily without getting bored and utilize them effectively. As you reach in Leh, you will be spending some part of the day getting the permits for places in Ladakh that you will be visiting as a part of your Ladakh trip itinerary. However, still you will have about a day and an evening to spend in Leh. So, the question becomes what shall you visit near Leh in a day and how? I have mentioned briefly about places to see in Leh town in my most recommended Ladakh trip itinerary already. 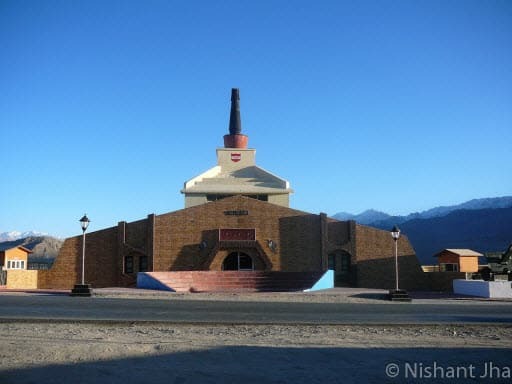 However, in this article, let’s deep dive into the places that you see around Leh town and spend your time relishing them as a part of the day dedicated for Leh local sightseeing. Built on a hilltop in Changspa region of Leh at an altitude of about 14K feet (4267 Mtrs), Shanti Stupa was built in 199. It is considered to be the most favorite tourist destination among other places in Leh local sightseeing plan. 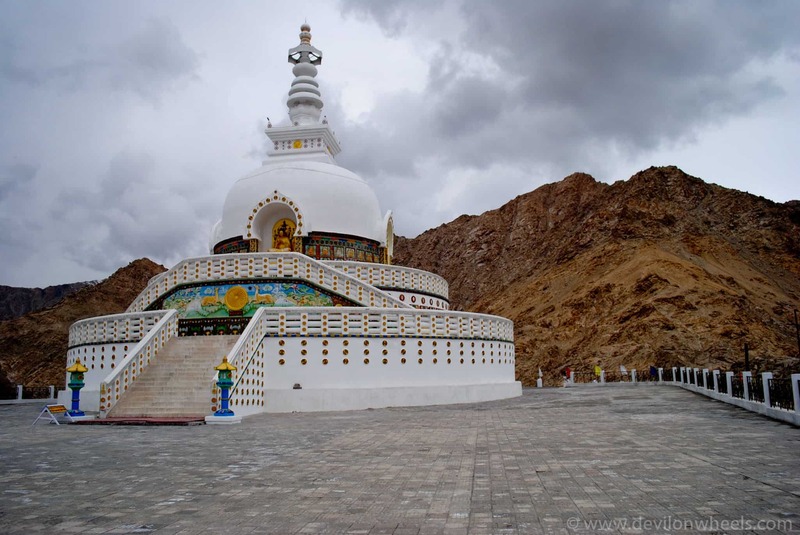 The visit to Shanti Stupa would greet you with a wide panoramic view of entire Leh town in the foreground and with breath-taking landscapes in the background. You can reach it either through a drivable road all the way almost to top or you can choose to ascend about 500-600 stairs, which I will not advice if you are just landed a day or two back. After 7-8 day, you may give a try to fatigue using those stairs otherwise avoid them to let your body acclimatize properly. Worth a visit for every Indian to get a feeling of undue respect and salute the spirit of heroes of the Kargil War, especially if you have not been to Kargil War Memorial on Srinagar Leh Highway. On the other section, you can see and get an idea of various things that form the rough life of our brave soldiers at Siachen viz. the shoes used by soldiers, the food they eat and how they heat them using Hexamycin tablets etc. 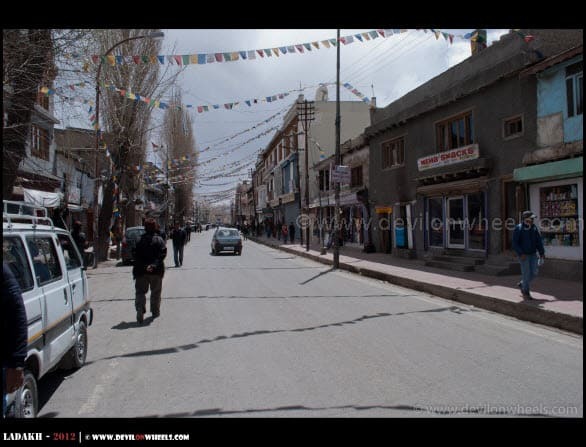 Most attractive place of Leh is Leh main baazar where you can have finest of cuisines and even shop for a variety of accessories for your mother/sister/wife/girlfriend or woollens for yourself and family or contact some travel agents for money exchange or planning your tours/treks etc. If you happen to have some interest in history and ancient culture, then you can visit Zorawar fort which is about 30-40 mins walk/hike from Leh main market and jeepable too if you are not interested in hiking. General Zorawar Singh owned this fort and is remembered here for the struggle with Chinese. Europeans even termed him little Napolean of India. Datun Sahib is a Meswak tree that is located close to Leh Palace or just behind the Jama Masjid in the Leh Main Baazar and holds quite religious significance for the whole Leh Ladakh region. It is said to be the first ever tree planted by Guru Nanak ji, who blessed the town by planting it. About 8 KMs from Leh, at an altitude of 3300 Mtrs was built way back in the 11th century and can be a good add to your Leh local sightseeing tour. The monastery houses about 100 monks and a giant statue of Kali which is unveiled at annual Gustor Festival held from the 27th to 29th day in the eleventh month of the Tibetan calendar. About 16 KMs west of Leh towards Srinagar was built back in the 15th century. It houses a 900-year-old museum which has an extensive collection of idols including a number of fine Kashmiri bronzes probably dating to the 14th century, thangkas, Chinese, Tibetan and Mongolian firearms and weapons. The Gang-Sngon Tsedup Festival is held annually from 17th day to 19th day of the first month of the Tibetan calendar. On the 2nd and 3rd day of the 6th month of the Tibetan calendar, Phyang serves as a venue for sacred dances. Not exactly a part of Leh local sightseeing but west of Leh towards Srinagar on Srinagar Leh Highway, Sham Valley tour includes a day trip to Sham Valley that consists of (in order from Leh) Gurdwara Pather Sahib, Magnetic Hills, Zanskar and Indus River Confluence at Nimmu, Ruins of Basgo Palace and Basgo Plains, Alchi Monastery and Likir Monastery I will say it is a must do trip for anyone visiting Leh – Ladakh. Of course, if you are interested in detail you can refer my detailed travel guide of Sham Valley. When you travel east of Leh towards the most adventurous Manali – Leh Highway, you should be able to cover some of the popular monasteries in Ladakh, viz. Shey Palace, Thicksey Monastery, Hemis Monastery and Stakna Monastery. 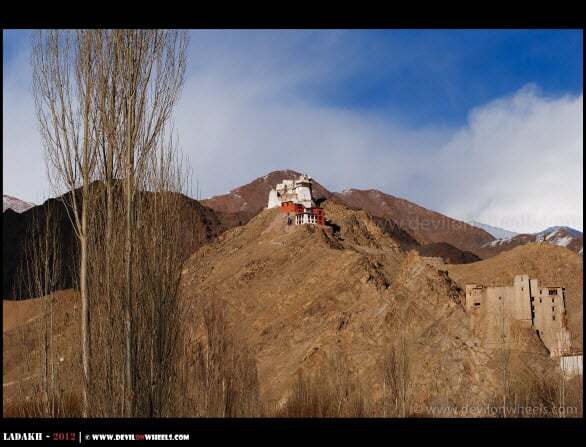 Depending upon the time at hand and your interest, you can also choose to visit Matho Monastery and Stok Palace a bit ahead of Stakna Monastery and complete the circuit while exiting towards Leh from Stok. I hope you find the above information useful for planning your day for Leh local sightseeing on the Ladakh trip. If you have any questions or doubts, please feel free to post them under the comments section of this article. If you like this article, do not forget to share it with your family and friends who are interested to know about the places nearby Leh town in Ladakh. In the end, in case you know about a place near Leh that you think I have missed, please do share it with fellow travelers. Hi dheeraj….i have flight for leh on 22oct nd my return is on 29 oct….we have 6 complete days in leh district….cud u plz advice me to make my trip better…..what all to do 6 days and where to visit….so far i have read many comments of urs bit still cud u plan according to my schedule…..and also i want to do bornfire type sumthing if possible nd stay in a hut for atleast a night if possible…!!! I’m Vy, from Vietnam. Firstly I want to say thank you to you and your team. The information on DOW is beyond of helpful. It gives us the inspiration to go on the road, to discover. I’ll in Ladakh in Sep. I’m a solo female. And I travel on a budget. Below is my itinerary. I built it based on the suggestions on DOW. Could you give me advice for my itinerary? I have some worries, especially about transport. 1. Trekking to Padum – Phugtal: Could I do this trek without the guide. I just worry about the chance of getting lost. 2. From Leh – TurTuk – Spangmil – TsoMori – Leh: Could I find the shared cabs or public transport for those routes? If the shared cab is available, how much I should pay for each part. 3. Any changing advice is welcome. Only Phugtal is the have-to destination. *1 preventive day for rest or any emergency case. Again, appreciate for all your work. Nice to connect to you here. Thank you for warm words. 1. I will not suggest doing Phugtal as you do not have sufficient time for it. You will not be acclimatized to do the trek so fast to be completed in a day time. So, better skip it. Also, the journey is too tiring from Kargil to Padum directly without night stop and then going on such long trek in a day is not recommended. Instead use the day for Ladakh itself at ease. 2. Regarding Pangong Tso to Tso Moriri, you will not be allowed to take that route being foreigner. Hence, you should do it at easy pace skipping the part of Zanskar Valley. 2. does it mean from Pangong Tso, I have to come back Leh and then take the route from Leh – Tso Mori? 1. I only need to apply for Inner Line Permit (ILP). It cost 400 + 20 INR? 2. as a solo traveler, I can’t get the permit by myself, have to run through an agency? Yes, you will have to come back to Leh from Pangong Tso and then can go to Tso Moriri from Chumathang route. As a foreigner, you need to apply for Protected Area Permits, the rule was changed I believe recently and a single person can also apply for permit as foreigner but through an agent. You can use the Online application to apply online and pay fee for Protect Area Permit. 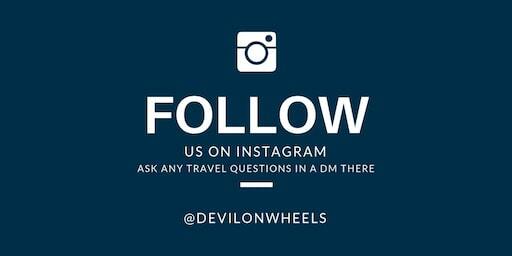 Really Article is well informative, I am fan of DevilOnWheels, wonderfully executed every thing, I always preferred this site for Leh Ladakh information. many times I got answer from your forum section. users participating on it sharing their knowledge about Leh Ladakh region and your contribution is unbelievable. Thanks for sharing such a wonderful article with us, If possible please use more images in the post which can attraction more users and engagement. Thanks for your helpful replies. Cheers. Good luck for your trip, please share the updates or reviews with us too from the trip so that it help others. 1. You have suggested clearly in many posts that it is best to travel from Srinagar to kargil and then onwards to Leh. Is it OK to get the body acclimatized by staying in kargil? I had planned to stay in kargil and see the local places by getting permit: stay there for three days. Then travel to Leh. Is it OK for the human body to get acclimatized that way? Request advices on this. 2. You had also posted that one group had travelled by the Srinagar route in May or thereabouts. However, in reply to another person in 2016, there was a suggestion to avoid travel through Srinagar route. I am really really confused here: from what I see on the 24/7 news channels: the situation in the Srinagar side is BAD. Alternatively, I am contemplating taking the Manali Leh route. 3. Will the Manali Leh road route be open by the second week of July 2017? 4. Should I get permit for crossing Rohtang pass? Where can I get the same? 5. Also, acclimitization wise: is this ok? Chandigarh to Solang valley (stay); onwards to keylong (stay); onwards to jispa (stay); onwards to sarchu (stay); onwards to leh. Is this plan ok acclimatization wise? This will allow me to acclimatize, I hope, to enable me to see in and around Leh. Also, I plan to fly back from Leh to Delhi and then to Chennai. 1. Not necessarily I will say but yes does help staying in KArgil and then moving to Leh. It depends from Kargil where exactly are you moving. Best way if one has days is to do Kargil, Alchi night stays before reaching Leh. 2. Well, it depends upon person to person. The situation changes every day in Kashmir and you should ignore whatever is posted in 2016. Please go through the thread of Srinagar – Leh Status in DoW Community to read about people experiences traveling there in this year. 3. Yes Manali – Leh Highway is about to open any day now. 4. If you go from Manali – Leh side, you will have to take Rohtang Pass permit to go beyond Rohtang PAss. 5. It is not OK but well, it is the way to travel to Leh if you choose Manali – Leh Highway. Also, PLEASE do not stay over night at Sarchu. It should be Solang, Jispa and then directly Leh. Thank you for reply.Whether two days are sufficient for local sightseeing or more days are required?.Which place I should visit in Leh to see snow in June? I hope you mean two days for above places? Yeah, that should be fine for Leh Local sightseeing and sham Valley. June, you can find snow only at Khardung La Pass and Chang La pass on the way to Nubra and Pangong Tso respectively. Being a photographer I would need to download/take backup on my laptop and if possible on an external HDD, Will that be possible in Leh as it is at a altitude of around 3000 mts. 2. Most of these drivers are very reliable as you might have read their feedback in the thread too. IF you really want to get authentic stays and feeling of Ladakh trip, better exclude the middle men. 3. Rangdum is too far and needs more days at least 2 days ex. Kargil. So, ;eave Zanskar and Suru for some other time. 4. Yes, stay options will be available. 5. You should be able to find guest houses or home stays at almost all the places. 2. Yes, will keep that in mind :), Can the driver take care of the accommodation, I mean if I decide whom to go with then will He take care of the rest, especially the accommodations at all the places to be visited ? Yes, drivers take care of their accommodation. All the places will have electricity but the supply will be limited at Pangong tso and Tso Moriri. Me and My wife are planning to travel from to Leh from 16th June to 25th June. Our initial plan was to reach Manali by Bus and then either bus or taxi from Manali to Leh. However, I read online that there’s a possibility that the Manali-Leh Highway may not open till late June, so we have planned to fly to Srinagar instead and then travel to Leh via Bus and end the trip by traveling from Leh to Manali by road by 25th Afternoon. Can you suggest an itinerary based on the above dates and do you think we can accommodate road trip from Srinagar to Leh and Leh to Manali within 16th and 25th June? We are planning to travel to Leh from Delhi. Sorry, forgot to mention that. Day 11 | Buffer day to be kept incase of road closure due to landslides or snowfall or perhaps you want to enjoy more. Thanks a lot Dheeraj. In your opinion, would the Leh-Manali Highway open by the 25th of June considering the record snowfall experienced this year. Yes Sundar, Leh – Manali Highway will open by 25th June. Thanks Dheeraj. Just one more question. I was planning to cover the journey from Srinagar to Leh in JKSRTC bus. Do these buses stop at Sonamarg, Zozi-la, Drass, Lamayuru which I should be covering during the trip or do I choose an alternate mode of transport? Private taxi’s do seem expensive. Sundar, these buses do not stop unless it is a stop for them for meals and tea/snacks. Some of them you mentioned may be actual stops for them. However, it is not a tourist bus that will stop for scenic places. There is no cheaper alternate mode unless you get a shared taxi with tourists who are willing to share the taxi or find online travel partners to share the cab. We are from Hyderabad, Mumbai and Bengaluru. We (about 12 of us) are planning to visit Leh-Ladakh by April end-first week of May and leave by May 6-7. We will be flying to Leh from Delhi and will be travelling with 2 kids aged 5-6 and one aged 13. A couple of us are on the heavier side too. Is it too risky for us? Will be grateful if you can help us decide the itinerary in a way that we don’t miss anything. In case you have about 1-2 days more, you can add Turtuk day trip from Deskit/Hunder in Nubra Valley. 1. You should make two day trip to Leh from Manali as body will not be acclimatized. Fist night halt will be Keylong if you will go by bus else Jispa if you take tourist shared taxi. DO NOT take a taxi or tempo traveller which halts at Sarchu, you will not be acclimatized to sleep at it. 2. Rest and acclimatize in Leh, get the protected area permits. 6. In between (3-5) you can opt to visit Alchi, Likir, Lamayuru as well as two day trip. 7. Finally take the bus back to Manali from Leh which will take halt at Keylong. This will be around 14-15 days not leaving anything else to cover. Reading these articles are great! A huge help before I fly from the UK to India and directly to Leh on the 5th Sept for approx. 5 nights. I haven’t really committed to booking guest hostels yet, as I wanted to confirm the itinerary (similar to what you recommended to RISHABH) with a friend that I will be travelling with. Wanted to get your input on this and suggestions of what to do? Day 1 & 2: Will stay in Leh to acclimatise and try and cover what you have suggested to others. Day 3: Pangong Tso day trip and on the way back, will try and stay in Thiksey Monastery for the night? Day 4: I wanted to visit Nubra Valley, wasn’t sure whether we could do a day trip there or would it be better to stay there for the night? Any suggestions of where to stay? Day 6 and onwards will include the bus ride to Manali however we would like to stay over another place for a night or 2 to break up the long journey, however not sure where? Final query is regarding the drinking water in Leh, is it recommended that we should take purification water tablets? You should visit Nubra Valley first on Day3,4 and then on Day 5 you should go over to day trip of Pangong Tso. You can stay at Hunder in Nubra Valley which is more close to nature and has many hose stays or small guest houses with local touch. Day 6 when you take the bus to Manali it will halt at Keylong where you will be staying for the night. Then next day you can move over to Manali from Keylong. Thanks for getting back, will go ahead with that then. Would you know how long the bus journey is to Keylong, and whether taxis will be available for this journey as an alternative? Dan, Leh – Keylong is around 13 Hrs and Keylong – Manali is around 7 Hrs. Yes, taxis are there always and can be booked on the spot as well in case you decide not to go by bus. I am planning trip to leh from 16th august to 20 aug. I’ll reach leh airport by 6:40 in the morning on 16 and I hav a flight back from srinagar on 21st noon. So can u please suggest me the best itinerary for the trip..
Hope you are doing good …Man!! Your comments and updates are really Appreciable. You will need permit to cross Rohtang Pass which is issued from SDM office in Manali. 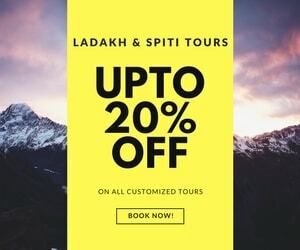 i am going to spend a week in ladakh, but i only have 1 day in leh, and i am travelling alone and i want to do a bike journey for a day, can you please suggest me where shal i go and come back by the evening? Not sure how your itinerary is planned so cannot really comment. Still, in case it is after the acclimatization is done, you can make a day trip to Sham Valley on bike. thank you so much. 🙂 and also please update me, what is the distance between leh and sham valley? Farthest point Alchi is about couple of hrs drive from Leh. We are travelling from haryana to leh in our own suv. Do we require any permit for local site seeing like nubra valley,pangong lake,kargil etc etc. Can we visit these sites in our private car or we require to hire a taxi there. Thanks for writing so detail about Leh, it helps in giving a perspective to someone who have never been to Leh. I am planning to go either on 14th Sept that week or 21 Sept that week and I heard from many that end of September onward are off-season, which means I will be able to get good price/bargain for hotels, taxi and local tours during that time. However, I would not want to risk going in to Leh and later on screw up the whole trip. What do you suggest? Is it easy to get taxi/local tour in Leh itself? Do you know the price for the above-mentioned places tour if taken from Leh plus taxi? Below is my draft itinerary, can you please suggest if they are fine? Your plan seems good to me, you can plan the entire tour on your own. DoW has enough sources which you can use to plan the trip yourself and save money. For the leh – ladakh taxi union rate list 2015 – 16 including the contacts of some reliable taxi drivers within Leh – Ladakh, check the link here. You can get about 10-12% of discount by directly getting in touch with drivers and of course, talking in person rather on phone always help in bargaining more. I am leaving from Kargil to Leh as I write this. Unfortunately I twisted my ankle while leaving from Srinagar and it is swollen since then. I took the painkillers and am feeling better. I am planning to show it to a doctor in Leh. Can you please let me know any known doctors and their address? I will be reaching Leh by 3:30 PM. Suhas, you can visit the hospital in Leh and they will be able to help you out there. Do take care brother !! Thanks a lot Dheeraj. I visited the hospital, fortunately there was no fracture and I could carry on with the trip. I returned yesterday and once again would like to Thank you for all the information you provided, without which the trip would probably not happened. You are touching lives of people in a special way, keep it going!! 27 Aug – Leave Delhi and arrive at Manali early morning. Travel to Solang Valley and spend the night there. 28 Aug – Travel to Jispa and spend the night there. 29 Aug – Travel to Sachu and the night there. 30 Aug – Travel to Leh. 31 Aug – Wandering around Leh – Local Sightseeing. The next three days (1-3 Sep) are really tricky coz I can’t put my finger on how best to go about. Any suggestions would be lovely. 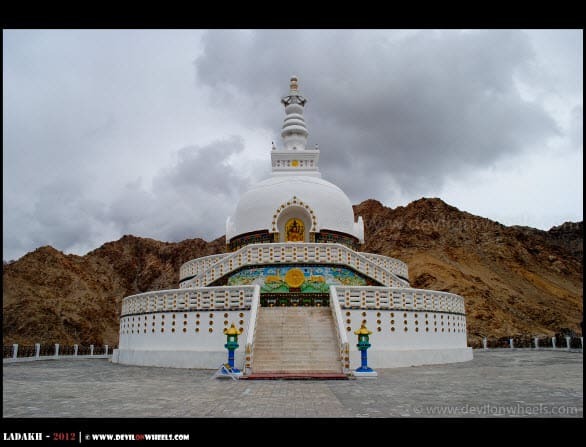 	To know the about the places to visit in/around Leh. Keep it the way it is, just make sure that you have all the required permits to take the route from Pangong Tso to Tso Moriri. In case army send you back, you can use Day 8 as buffer day. Sorry have to bother you again. The itinerary is fixed based on your opinions. However, I wonder if you could give a couple of reliable travel agents to arrange our accommodation in Leh and other places plus the transportation. Your recommendation will be invaluable as you’ve first-hand experience. you can connect with [email protected] as most of the readers in the past couple of years have had very good feedback about them and especially their transparent policies along with being there with you all the time in need. So, we trust them the most. You can refer my name or DoW to Gaurav, the guy who runs it. He knows us very well and should be able to offer some special rates being a DoW Member. You can just refer him the DoW Community Member Username in such a case or screenshot of this reply here. Just wanted to let you know that we finished our journey very successfully from 26 Aug to 04 Sep. Your reports on Ladakh were invaluable and we managed to complete the whole journey with very little High Altitude Sickness such as giddiness and lose motion. If one takes a dose of Diamox at least 2 days prior to the start of the journey it should help. Further we stayed at a place called Shanthi Guest House and they were simply out of this world. Extremely good, humble, friendly and helpful people and they’re Ladakhi folks. Very cheap too. So if anyone who reads these for helpful tips, do give them a try and you can go wrong. We are 2 px travelling on 1st July wanted to know how easy it is to get shared taxi, can you share contact no of taxi drivers for the same. Dont have contact of shared taxi. As suggested by you if i start the journey via Srinagar and come back via leh manali highway, then from where we can take the bike on rent? Also with that rented bike can we travel in and around leh.. and all the places which comes in between..
also what & all places need any special permit.. because i don’t want to skip even a single place on both the routes..
You should take the rented bike from Leh and drop it back in Leh. you should do Srinagar – Leh and Manali – Leh by other means of transport. This will keep budgets under control. I am travelling solo to ladakh from 16 July. The plan can be extended by a day also if needed. Anything that should be done which I missed in itinerary? 1. How easy is to get local shared taxis to get to these locations? How much by average would it cost? 2. I like camping and is it possible to setup own camps in any of the locations like pangong or Nubra? 3. For where all places do I need inner line permit in the above plan? 4. July being heavy travel season will it be necessary to pre book any homestays or will find something on walk-in also? Thanks for the blog which is helpful for all. July 24th – Leh – Tso Moriri — Looking for transport how to cover? July 25th – Tso Moriri – Leh — Looking for transport how to cover? July 26th – Leh – Kargil — Looking for transport how to cover? July 27th – Kargil- Sonmarg – Srinagar — Looking for transport how to cover? July 29th – Any Place i can cover? Please suggest whether any thing needs to changed or we are missing any good place? Saravan, are all the hotels on above dates booked? If yes, it looks a bit screwed up. No, We have only booked until 21st stay… If something needs to be changes no issues we will cancel it. July 25th – Leh – Tso Moriri – Why not Bike Ride? Thanks for the detailed plan there is a problem on 18th there are no bus service by HPTDC that is the reason we extended the trip by a day in manali. Thanks for the details and few more things. What about the bike for rents in Leh? Whether we need to book the hotels now only for the trip? I have gone through the page for the cheap hotels but there will be no guarantee we will get a place. As part of your plan is there something we need to take any permission or pass for going to these places. Can we ride in a single bike 2 members for these places? Reason I dont have driving licence. Can we plan to include Amarnath Yatra in this trip, Please provide your suggestion. Well, you need at least 4 days for Marnath Yatra from Sonamarg. With just 3 night stay, you can go around Leh only. Again, I had drafted out my itenaries and would love to have your comment regarding it, below will be the plan. 1. wil the check in process takes time in delhi airport? izzit sufficient to arrive 2 hours before flight time to check in? for domestic as well as international. 2. will my journey along leh-manali being too rush? will it be too tired to do so? 3. sorry for out of topic but will it be alrite to do a day trip to taj mahal? will it be too rush? we are planning for 14th Aug to 20th Aug for both Srinagar and Laddakh put together. we will fly on 14th from Delhi to Srinagar and then Srinagar to Laddhakh by road (Taxi) and then Laddakh to Delhi by air on 20th. pl suggest the suitable Itinerary. Thanks for all your experiences and sharing, Me 57 & my wife 55 wanna visit Leh for Ten days as she do not want to travel by road i want to know how to make our itinerary. Also suggest some hotel within budget of 1-1;5K with at least room heater n sufficient bedding…is it very cold in sept first half. plz reply me in detail thanking you in advance. I am planning to visit leh in July..can u plan an itenary for 10 days which includes rafting n paragliding..we will be going by road n coming by flight. So, you want to travel from Srinagar to Leh by road and then from Leh you want to fly back? No we r going via manali.. So, Manali to Leh and then fly from Leh? Yes Delhi to leh via manali by road n den flight from leh to Delhi. While trip is for 10 days. I want a guide who can help me locally there with markha valley trek and rafting(L3). But is he economic? Cause we are a group of 5 and our budget is not much. Bhai you can have a word with him. He should help. Hi guys…me n my husband are planning to visit leh by June end dis year. We are looking for a company of oder married couples…anyone interested?? I am planing to do ladakh trip in first week of June.I will be doing solo on my bike (pulsar 150cc).Here the itinerary. If there is improvement needed in the itinerary then please Guide. Also I want to know that personal bike is allowed in leh and around ?And how good will be Pulsar 150cc? 2. Add one rest day after reaching to Leh and before going to Khardung La. 3. Then make two day trip to Nubra Valley, then to Panogng Tso two day trip and then finall the way you have mentioned exit to Manali – Leh from Tso Moriri. As suggested by you I will rest in Leh before going to Khardung La. Is Pulsar 150cc good enough to cross Khardung La and all high passes?? I will be travelling alone! 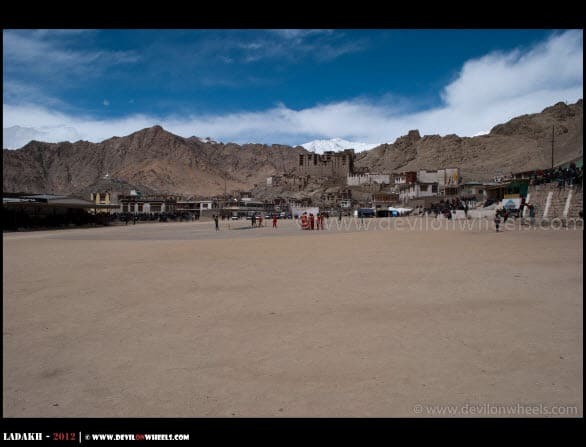 Visiting Ladakh (Leh) on 20th of this month – April. It will be a short visit to the place. The main objective is to visit one of the valleys and do local sightseeing there at Leh. We will be having 5 days in hand. 2 days will be for valley and 3 days for the local sightseeing. Can you let me know which valley would be best to visit? And a budget stay, if you can name any guest house? A best way to reach to the valley and do the sightseeing in Leh? You are doing a great job, love your blog. 1. Local sightseeing mentioned on this page are on walking distance? 2. You suggested about hotel for advance booking but didn’t mentioned how, from where I can get a best hotel/guest house to book under a good budget? 3. And, regarding AMS, incase someone get ill what are the best medicines to control so that the short trip shouldn’t get ruin. I have had a talk with my doctor and he had no clue for any such option only way he suggest is to reach their by road so the body get used to that condition slowly. But in our case we are directly flying to the place. Very informative website you have here. I am determined this year to visit Leh Laddakh and have a plan as follows. Please let me know if you see any fundamental faults here. For two people package, I am being asked Rs 56000 for hotel/camp + car rental (excluding Air travel). Is it too much? Shavej, the itinerary to me lacks the number of minimum days required that is 2 within Leh when you fly to Leh for acclimatization. So, you need to add a day of rest in Leh before moving to Nubra Valley. Rest should be OK else plan one day trip to Pangong Tso. You will need to shell out around 25K for taxi and rest around 15K at max for hotels for 5 days you have in hand. I will advice you can connect with [email protected] as most of the readers in the past three years have had very good feedback about them and especially their transparent policies along with being there with you all the time in need. So, we trust them the most (please note that DoW except reliable reference has nothing to do with them)… You can refer my name or DoW to Gaurav, the guy who runs it. He knows us very well and should be able to offer some special rates being a DoW Member. You can just refer him the DoW Community Member Username in such a case or screenshot of this reply here. I am planning to visit Leh in March 16 around 16-22. Kindly provide me the details about taxi (share or Private). And how should I plan the trip. I am planning to visit Leh in July. my main objective is to attend the Hemis festival. I am an avid Tibetan Buddhism follower/enthusiastic/devotee, whatever you may call it. Could you suggest approximately how many days it should take if I wish to cover all the monasteries you mentioned above in your post? I can skip shanti stupa and hall of fame, not my first priority. Kuheli, it depends upon how much time you would like to spend in these monasteries. If you want to see all of them, may be 2-3 days would be good enough time as all are nearby. So, how much time you want to spend? Nothing has been finalised yet, but 7-9 days max. I think any duration less than that wouldn’t be wise owing to the acclimatization issue and all. And I will also be flying to Leh directly from Calcutta. I read that there are museums in the monasteries as well, I would like to explore them too. Preferably if I could have conversations with the monks (hope they are cooperative and friendly enough), regarding the history and the different sects each monastery follows. I guess you get the picture. And well, I do not mean to sound too ambitious (since I have limited time in hand), but I would not like to skip Pangong. It’s breathtaking. In that case it is fine and you will get enough time. You can make a couple of day trip in the last leg of your trip to Pangong Tso rest you can focus on these monasteries. Can you suggest some budgeted local guide contact detail in Leh for winter Chadar trek. I will check and share back. Can u suggest some good local guide who can help with trek and local sightseeing? Mandar, which local guide for what you need? me and my friends ar planning for a 20 day bike trip in june-16 from delhi to leh , but v are confused abt the better route…..